Fiction Author T.W. Colvin: NANO is Here!!! It's that time of year again, and I have big plans! NaNoWriMo is just what I need to get out of the creative slump I'm in. So, I've thoroughly outlined (something very new to me) and I even created covers to motivate me to tell the stories in my head. Is anyone else out there attempting NANO this year? 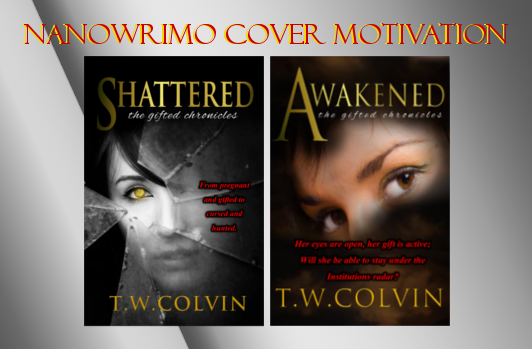 If so Add me to your Writing Buddies list, I'm TWColvin on nanowrimo.org .